Author(s) Olson, Peter D.; Hughes, Joseph; Cotton, James A. We live in an age of ubiquitous genomics. Next generation sequencing (NGS) technology, both widely adopted and advancing at pace, has transformed the data landscape, opening up an enormous source of heritable characters to the comparative biologist. Its impact on systematics, like many other fields of biology, has been felt throughout its breadth: from defining species boundaries to estimating their evolutionary histories. This volume examines the broad range of ways in which NGS data are being used in systematics and in the fields that it underpins, from biodiversity prospecting to evo-devo. Experts in their fields draw on contemporary case studies to demonstrate state-of-the-art applications of NGS data. 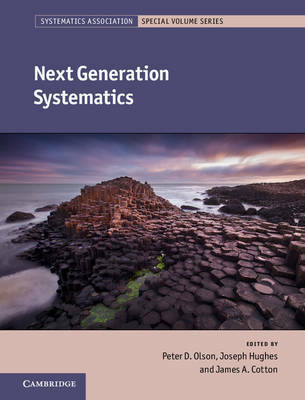 These, along with novel analyses, comprehensive reviews and lively perspectives, are combined to produce an authoritative account of contemporary issues in systematics that have been impacted by the adoption of NGS.